I learn words but a week later the words just sail out of my mind. A strong breeze just carries them away. Or I may remember the word, but not the meaning. Take the Hebrew words “bakbok” and “boobah” for instance. I mix them up. One word means bottle and the second doll. Worse, and my husband does the same thing, is we confuse the words “calev” and “kelev”. One is milk and the other is dog. It is a little embarrassing to go out and order coffee with or without a dog instead of with or without milk. A friend taught me to order coffee by saying café hafook. Otherwise you get a tiny cup of very strong coffee. I had no idea what the word meant, but it worked. I got good coffee with milk and not a dog. My husband was expecting someone to hang a political banner outside our living room window. The man showed up an hour and a half late, full of apologies which we could only half understand. We were thrilled though because we have not figured out how to remove the screen or the window and we were going to watch carefully to see how this man did it. It’s not just the language that is strange when you move to another country. Everything is different. The man removed the screen. He took out the window. He climbed outside and hung the banner and in the process cut his finger. We scrambled to find him a band aid. He carefully replaced the window and the screen and was packing up his belongings when our neighbor walked in. She took one look at the sign and yelled “haffook.” The sign was upside down. The poor man had to go through the entire process again to put the banner right side up. I was left pondering how “afook” applied to coffee and the banner and figured out – maybe not correctly but enough to satisfy myself – that when they make coffee “afook” they heat up the milk in the cup, and then they add the coffee–upside down from serving the coffee and then adding the milk. But my affair with “hafook” continued. 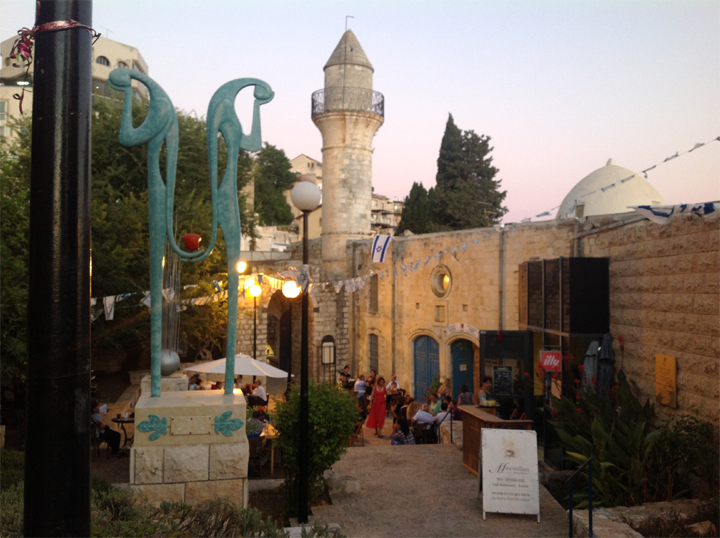 I was in Tzfat (also known as Sefad) with my husband. He was in a class learning digital marketing and I was set loose to shop. I was in a store looking at scarves, and suddenly the owner of the shop came to me. She touched my dress. What is this about I wondered. Then she pinched the seam at the side and pulled it out for me to examine. “Afook” she exclaimed. My dress was on inside out. “Hafook” I will remember. It will not sail out of my brain but remain embedded forever. If only I could actually experience other words instead of learning them by rote. I would actually learn to speak Hebrew. Categories: Uncategorized | Tags: Hebrew, Israel, Joan Gross, learning a language, Sefad, Tzfat, upside down | Permalink. Children have to make important decisions every day and their choices affect how they feel about themselves, their friendships and the formation of their character. In these three stories, the protagonists deal with a pesky sibling, stealing and poor self image. “A Tired Purple Dragon”: Andy is fed up with his little brother Michael tagging along after him and his friends and decides to lose him. Hours later Michael cannot be found and Andy is being questioned by the police. “A Red Dog”: Mr. Grotsky loses his wallet when a red dog rips off his pocket. Best friends Daniel and Nathan find the wallet containing $200 and now their friendship is endangered. “The Unhappy Clown” is the story of Alex whose classmates call him clowny. An encounter with a very sick hospitalized boy teaches Alex that being a clown is a good thing. The three stories are available on an ebook version of your choosing for $0.99. 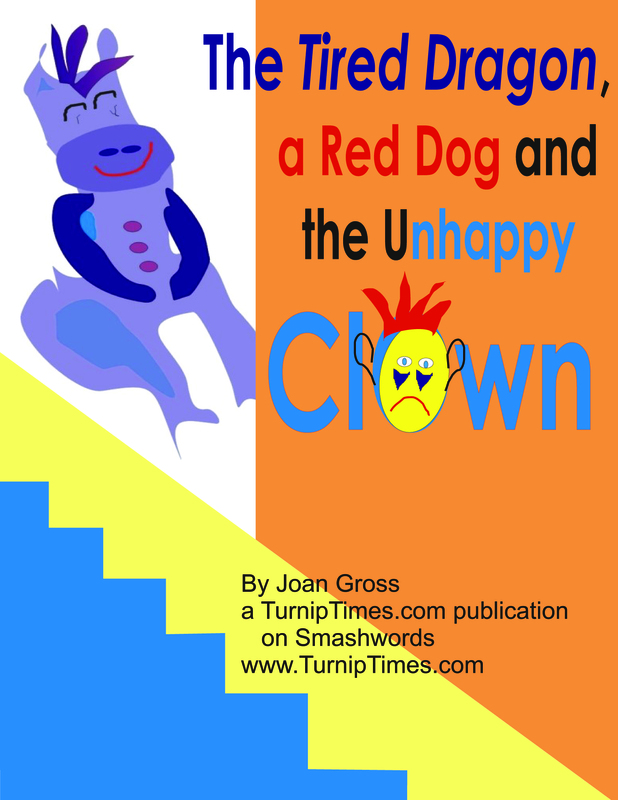 Categories: Uncategorized | Tags: A Red Dog, children's stories, educational, Joan Gross, morals, The Tired Purple Dragon, The Unhappy Clown | Permalink.